A new online platform enables users to get information about the democratic quality of a specific country with just a few clicks. The new tool has been designed by political scientists from the University of Würzburg. Take North Korea, for example: The matrix of that nation is deep red dyed with few exceptions and a total score of 0.05—clearly an autocratic regime. Sweden is quite the opposite. With all fields dark green and a score of 0.95, the country almost achieves the maximum score, making it a paragon of a functioning democracy. Ukraine is positioned somewhere between these two extremes. Some areas are pale green, some light orange, others dark, yielding a total score of 0.51. It is a hybrid regime that includes both democratic and autocratic elements. The vivid graphics with their differently coloured fields provide information about the democratic quality of a nation at a glance. Political scientists from the University of Würzburg have developed the so-called democracy matrix within the scope of a project funded by the German Research Foundation (DFG). Professor Hans-Joachim Lauth, who holds the Chair of Comparative Politics and German Government, was in charge of creating the matrix. He was supported by Lukas Lemm and Oliver Schlenkrich, two research assistants. The matrix was launched a few weeks ago and is now open to all interested parties. "Instead of specifying a single value to describe a country, our matrix shows a differentiated picture of the strengths and weaknesses of a state's democratic elements," Hans-Joachim Lauth explains. What is more, the matrix enables comparing several countries or illustrating developments over years and decades. Information about nearly 200 countries in the period between 1900 and 2017 can be retrieved from the database, including almost all countries of the world with the exception of a few microstates. Lauth had the idea to measure the democratic quality of countries already back in 2004—however as a purely qualitative model at the time. A comprehensive database developed by scientists from Sweden and the USA has now made the quantitative implementation possible. "We solely selected variables from data of the valuable Varieties of Democracy project that fit in with our concept," Lukas Lemm explains. Three central dimensions of democracy form the vertical pillars of the democracy matrix. They investigate elements of political freedom, political equality as well as political and legal control of governments. Or, simply put: "Are all citizens able to participate in the political process without restrictions? Are all citizens treated equally? And what about control of the government?" says Oliver Schlenkrich. Additionally, the political scientists distinguish five horizontal areas, the so-called institutions, that enable a differentiated view: The quality of elections for example is at the centre of the "Procedures of Decision" institution. 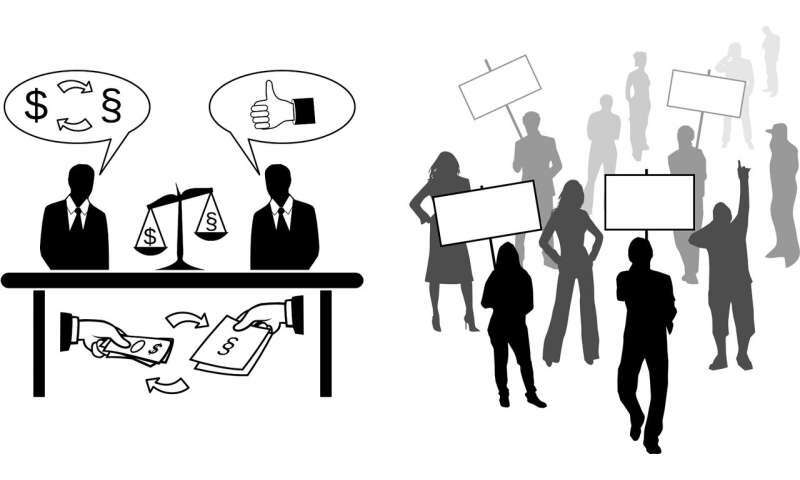 How can political parties, organisations and civil society voice their interests? This question is the focus of the "Regulation and Intermediate Sphere" institution. The freedom of the press is covered by the "Public Communication" institution. Judicial independence in the sphere of guaranteed rights and the separation of powers are examples from the "Rules Settlement and Implementation" institution. Three pillars with five institutions each: This yields a total of 15 fields which are depicted by the democracy matrix. A score between zero and one is assigned to each field. Based on this, average values can be calculated for the respective pillars, institutions or for the overall system. "A value between 0.5 and one means that the country is a democracy. Scores below 0.5 are indicative of an autocratic system," says Hans-Joachim Lauth. What is more: A score higher than 0.75 is representative of a functioning democracy; values between 0.5 and 0.75 characterize deficient democracies. Data for Turkey from 2017, for example, clearly illustrates that the country is an autocracy with a total score of 0.35. Japan (0.89) is a functioning democracy; India (0.67) has made it into the "democratic half," but exhibits deficits. And what about countries that have both democratic and autocratic elements in the matrix? The scientists introduced the hybrid regimes category to cover such states. Morocco is one such example: Decision-making procedures—elections, for example—generally do not satisfy democratic standards, whereas the guarantee of rights meets nearly high standards. However, it is a mistake to think that a country with a score of 1.0 is the ideal democracy. "There is no such thing as an ideal democracy," Lauth says. After all, it is impossible to implement full freedom, full equality and perfect control in one political system at once. Instead, the range of functioning democracies includes "different profiles of democracies" where these aspects are weighted differently. Oliver Schlenkrich points out that countries must make a choice within the scope of these trade-offs. The democracy matrix also shows whether a country has adopted a more egalitarian or libertarian approach. The political scientists believe that journalists, schools and all political stakeholders are potential users of the data matrix, as are politicians and people who are actively involved in politics. "You can use the matrix, for example, to identify a country's strengths and weaknesses, track trends and make decisions about development aid projects on this basis," Lauth says. But of course, the matrix is also of great analytical value for the scientists." They use the matrix data to dig deeper, for example, to determine the causes and effects of special deficits, culture-specific characteristics or structural conditions. The running research project tackles these issues. The data includes nearly 200 countries spanning more than 100 years. This poses the question of whether the political scientists have identified a candidate that can serve as a paragon of democratic development over the recent years. The researchers suggest Tunisia. According to the scientists, it is the only country that has emerged from the Arab Spring of 2010/11 as a model of democracy. This development is reflected in the matrix as follows: In 2009, the country scored only just 0.23 and most fields were a deep red. For 2017, however, the matrix is coloured a friendly green. The total score is now 0.84. Poland and Hungary are examples of negative developments in recent years. The democracy matrix is open to all interested parties free of charge. The website is available in English and German. Go to https://www.democracymatrix.com. Could growing Internet use inspire more democratic uprisings?